This is a tribute to Bride of Frankenstein. 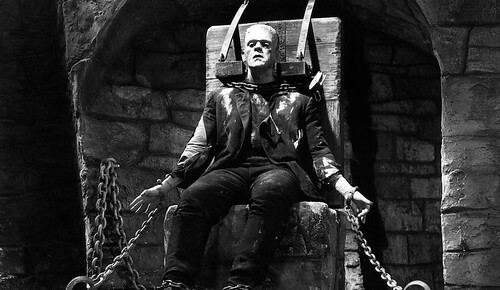 Frankenstein has never been my favorite monster and no film has really been able to really change my view on that. He is just not an interesting villain. Moreover, he doesn’t have the speed or power to deal with someone like Kaiba. Kaiba has a whole army of monsters at his beck and call and they will completely shut down any attack that Frankenstein attempts. He is simply outmatched here. At most, he can surrender and hope for the best. Kaiba wins. This entry was posted in Battles, Frankenstein Battles, Kaiba Battles, Tribute Battles and tagged Frankenstein, Kaiba by dreager1. Bookmark the permalink.